Mystery solved: Australia’s first submarine sunk in 1914 by open valve. Investigators have solved the 104-year-old mystery about what sank Australia’s first submarine, sending 35 sailors to a watery grave off Papua New Guinea. Experts who analysed the wreck believe the HMAS AEI sank after a ventilation valve in the hull was left partially open when the sub dived. It’s not clear if it was human error or a mechanical failure that caused the fault, however, with the valve open water would have flooded the engine room. As AE1 sank to its 100-metre crush depth an implosion would have ripped through the vessel killing all on board instantly, an Australian National Maritime Museum report says. The submarine was the first wartime loss for the Royal Australian Navy and the first Allied submarine loss in World War I. She was last seen on patrol off East New Britain on September 14, 1914 during an otherwise successful operation to seize the German colonies in New Guinea and the South Pacific. A search by five navy ships in the days following failed to find the sub, nor any tell-tale shimmer of escaping oil floating on the surface of the water. And there was no distress call to help guide the search. Enemy action was not suspected because the only German vessel nearby at the time was a small survey ship. In 2017, the wreck was discovered in 300 metres of water during a search off the Duke of York Islands, near the New Britain capital Rabaul. It was the 14th attempt to find the vessel and the resting place of her crew. AE1’s final contact with destroyer HMAS Parramatta at 2.30pm, more than a century ago, had placed her in the area. Mioko Island villagers at the time also spoke of seeing a “monster” or “devil fish” that appeared and quickly disappeared back into depths. AE1 was one of two E-class submarines constructed in Britain for the new Australian navy. AE2 achieved fame when she penetrated the Dardanelles waterway at the same time Australian troops landed at Gallipoli. After attacking Turkish shipping in the Sea of Marmara, AE2 came under fire from a Turkish gunboat and was scuttled so she would not fall into Turkish hands. All of her crew were captured and became prisoners of war. 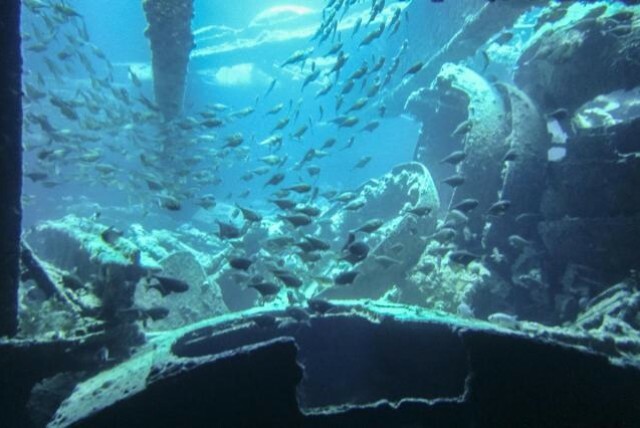 That wreck was discovered in 1998.